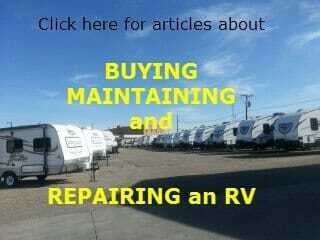 Extended Warranties for RV's - worth it? 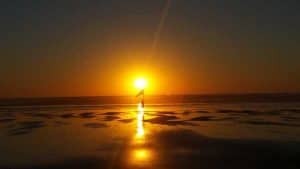 Its Monday morning (10/12/15) and I awoke early to make a scheduled appointment for a needed repair to my fifth wheel. 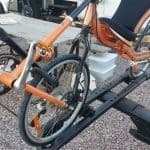 It is also an opportunity for me to “test out” my (recently purchased) extended warranty (extended service contract) on the 5th wheel. 2) Because of #1, RV’s break – ALL of them! Some folks have expressed to me their frustration at this (sorry) state of affairs in the RV industry. In my view, if the RV manufacturers were to build something as reliable let’s say as my Ford truck, the cost of that RV would easily double or triple, so… the beat goes on. Recognizing the state of affairs with RV construction, and to be fair, it IS a home that does 65 mph! I opted to step up and buy an extended warranty on my nearly 4 year old fifth wheel… and it appears it was money well spent! Click to see the policy I opted for. Maximum coverage of parts. 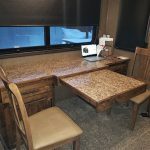 When your RV is new (or nearly new) and you purchase a plan, you can often get an “exlusionary plan” which means “everything is covered EXCEPT what we state here…” – in contrast, my plan covers ONLY what they state it covers. At nearly 4 years old, that’s what I was limited to. My plan has all 3 of these features – I opted for a 4 year (I doubt I’ll have this RV for 4 more years), $100 per incident term, and I can both transfer it and get a pro-rated refund if and when I cancel it. Just 5 weeks into having this plan, my 5th wheel is in for repairs on the landing gear – a covered item. 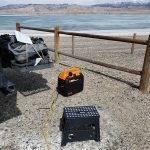 This should reduce a $500+ repair to $100 out of pocket! 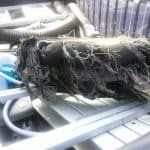 (So… you tell me if an extended rv warranty is worth it!?) 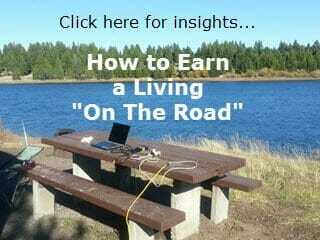 I’ll keep you posted on how things work out – as well as how D&D RV in Helena, Montana does. I have commented in the past on Honest RV Repair and given kudos to the best dealers, and I will be glad to add D&D to this list should they EARN it! 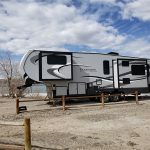 If you are considering an extended warranty for your RV, the dealership I worked at this summer (Stalkups in Casper, Wyoming) is offering to give my readers a very competitive quote on a plan. 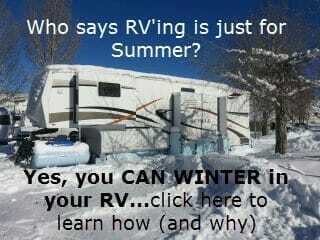 If this is of interest to you – contact me privately at rvacrossamerica@gmail.com with your contact info along with the year/make/model of your RV and we can proceed from there to offer you a plan. 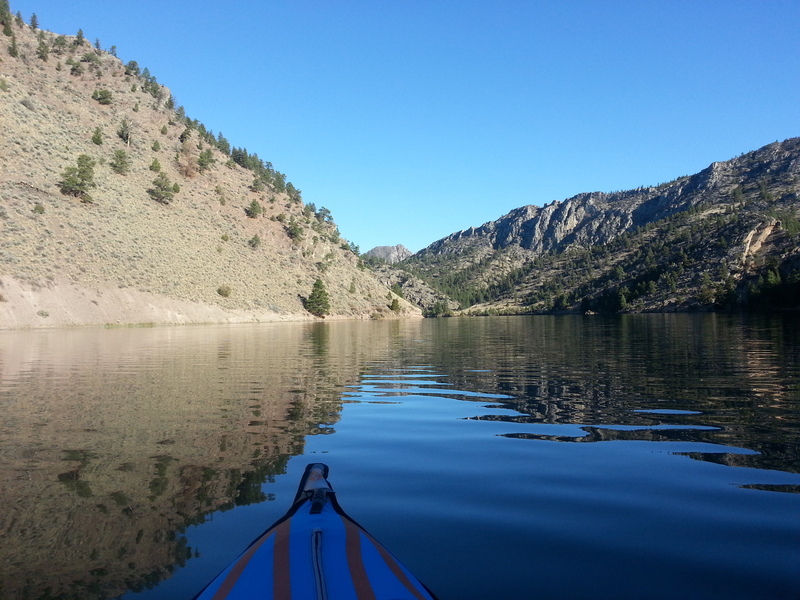 Helena Montana – A GREAT place to find LAKES and Rivers to kayak in! Today (probably) marks the end of my two plus week stay in Helena. I was concerned at first when D&D could not schedule me in immediately to do my landing gear repair, but my time here was completely enjoyable – there are SEVERAL lakes to kayak in and camp along – some are best described as “dry camping”; a couple of campgrounds near the “city” of Helena; SEVERAL great coffee shops – and even a small “urban” downtown area that (to me) was reminiscent of the “West Village” in NYC! 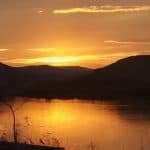 I will create a post (soon) that highlights all of this and provides necessary details as to the highlights of each site in and around Helena. 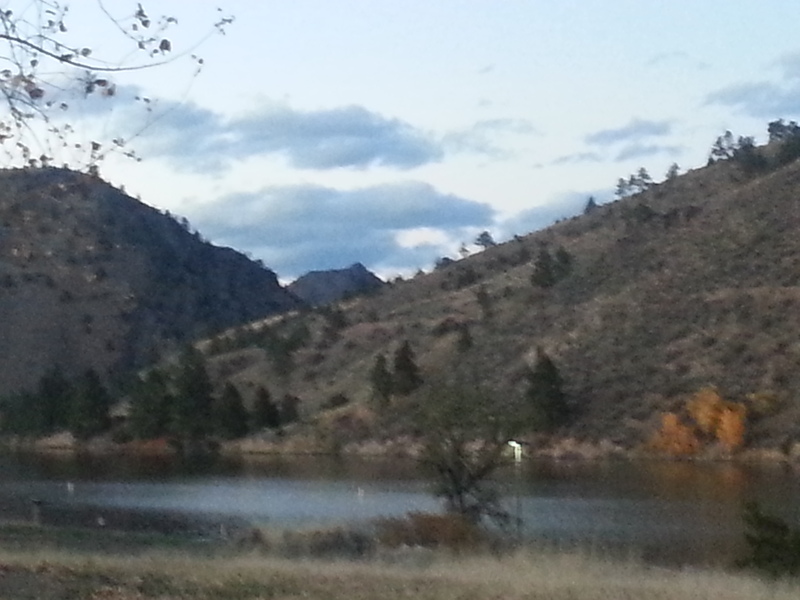 I will also say that Helena appears to be a VERY livable town. It is also the capital of the state of Montana. My plan today (assuming repairs go as expected) is to head west from Helena and return to some of the most rural terrain found in our nation. 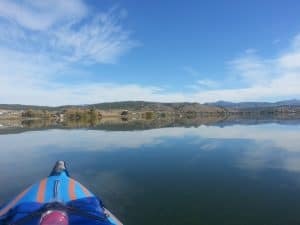 I have had LOTS of time to kayak in the past 4 weeks and if the long range forecasts hold, there is at least another week to enjoy that activity before the chill and winds of autumn force me to store my kayak for the winter. 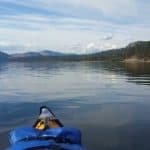 When I do head west from Helena, I will be aiming for Flathead and Whitefish Lakes where I hope to continue my search for the “Perfect Campsite” and further test my solar panels as we head deeper into the “low sun” season! 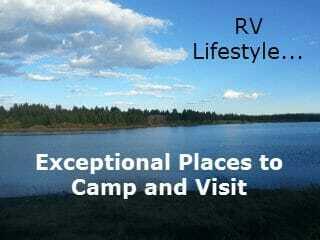 Hey, thanks for reading – and while you’re here, why not sign up for updates to this site (look for the “follow us” opt-in box) and be sure to join my RV Lifestyle and Earning a Living on the Road group on Facebook! Speaking of which, I have a big post (likely a 3 video series) coming out on that topic VERY soon. IF the parts arrive, I’m back on the road tomorrow (Oct 15). The repair would have cost me $620. (and possibly MUCH more – I’ll detail this in a 2nd update soon) – but with the extended warranty, I am out only $100. As I mentioned, Devils Elbow Campground is a great spot – I posted a couple of photos here, and will then make a full post on the camping options in the Helena region soon – this is a GREAT area and I had no idea of what to expect when I headed in this direction… aaah, the fun of RV’ing without too much advance planning! Tomorrow *may* be my last day, but hey, i’m always up for ideas as to what to do – now or the next time I visit – and I will be visiting again! 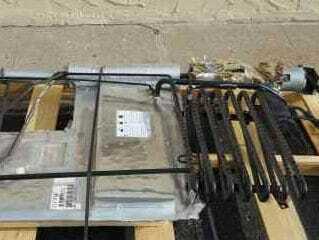 Pingback: Your RV Furnance - and cold winter weather... a "how to"